Black Lives Matter - by Jon Simonds, The Basically Brooklyn Series. The Black Lives Matter movement has it all wrong. It isn't the police (many of whom are black) who are the enemy, but the legislators who draw up laws, such as the Florida Legislation drew up and adopted a decade ago. The Statute 776.013 (3) signed into law in 2005 is more widely referred to as the Stand Your Ground Law. It was quickly adopted by 22 other States, mostly Southern paving the way for legal execution. This entitles a neighborhood watchman to ignore a police dispatchers order to remain in his vehicle upon seeing a hooded black man walking down the street. The outrageous execution of a kid hustling to the store for a drink and some munchies during a halftime break in a basketball playoff game staggered a nation and left a police department (sworn to uphold the laws governing a state) in confusion. Nearly 3/4 of every case utilizing Stand Your Ground involves a fatality and more than half the individuals using the defense are never charged with a crime. Police are tasked with protecting society from acts violating law. It is Prosecutors who are tasked with charging and bringing to trial those in society who cross the line. 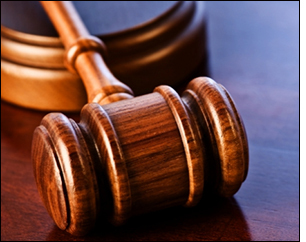 The courts decide upon the guilt or innocence of an individual charged with a crime and the punishment they receive. These decisions are based on interpretations of laws written by legislations such as the one in Florida stating George Zimmerman had every right to end the life of Trayvon Martin. Does that make it right? Hardly. Laws are designed with the best and sometimes the worst of intentions, such as voting restrictions enacted by lLegislation in places like North Carolina and Kansas. These laws were craftily designed to infringe upon the voting rights of African Americans and poor Hispanics. The attorneys who challenged these laws and have, through the courts, recently had them overturned, have proven a pattern of racism in their design thus illustrating a nation challenged by racist who do end up proving we are a nation constantly seeking the equal rights we do strive to achieve. Does racism exist within police agencies? Racism rears its ugly head in all walks of life. Richard Speiner an attendee to the RNC from Arlington, VA calls for removing African Americans, Hispanics and Jews from America. A black man goes on a shooting rampage in Dallas intent on killing as many white cops as he can. A baker won't offer services to a gay couple. Killing cops does nothing to resolve the problem of racism. As a matter of fact, it only widens the gap needing a bridge of solution. Life Matters and Black Lives Matter could go a long way in calling attention to legislation needing change, legislators who act in the interest of racism and policies within police agencies failing to identify and remove police of all colors illustrating their true color, which is not white, brown, black or blue; but merely the ugliness of hate and divisiveness growing like a wildfire fought with gasoline.